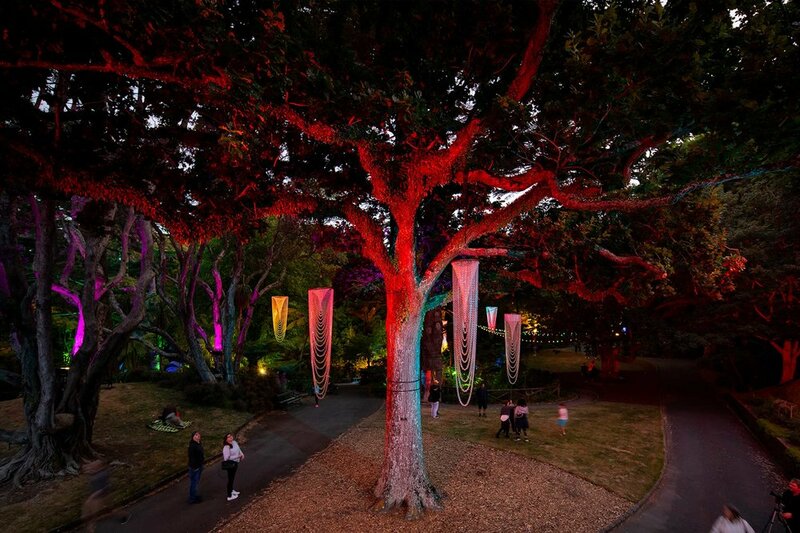 The chandeliers come alive in the Wellington breeze and look amazing when lit at night. Gardens Magic is a series of free outdoor concerts located at the Soundshell in the Wellington Botanic Garden. A different musician or band takes the stage every night of the week (with a few rain days thrown in), and it's an eclectic mix, ranging from reggae ska and funkadelic rock to jazz classics and kapa haka. Mayor Justin Lester loves the annual event as it’s a great opportunity for family and friends to get together and support local artists in a beautiful setting. “Annually, thousands of Wellingtonians turn out to share this experience with each other, and every year the team delivers original, entertaining, and diverse content. 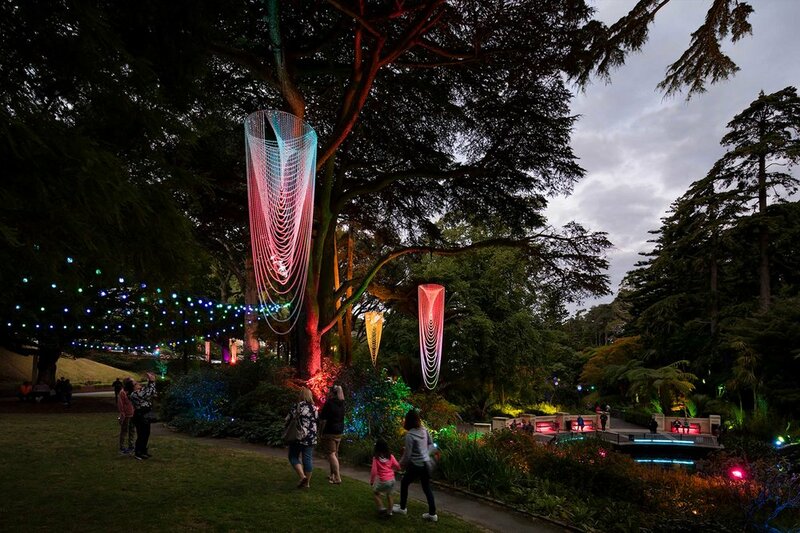 Along with the music, the gardens are transformed with art installations and lighting displays creating a magical backdrop for the music. Hung amongst the beautiful native trees in the Botanic Garden several Kaynemaile chandeliers hang ethereally. The sponsored chandeliers were designed by our CEO, Kayne Horsham and made by the Kaynemaile team using Water Clear mesh using off-cuts from existing jobs and recycled material. The Kaynemaile mesh draped beautifully from a steel ring at the top. The chandeliers come alive in the Wellington breeze and look amazing when lit at night. These chandeliers are available to hire directly from us and can easily transform your event space, whether it is indoor or outdoor. We have 7 chandeliers available, in 3 different sizes. They are quick and easy to install and can be shipped anywhere in New Zealand. Contact us for more pricing and availability. Kaynemailes hire screens are suitable for both interior and exterior events and productions. Our hire screens give you great options for space division—plus, they work beautifully with lighting and projection effects. Need a quote or a sample? We’re happy to answer your questions. From product information to technical assistance. Call, email, or fill in the enquiry form below.